For years, Franklin, Ind. 's Jefferson Street was in dire need of revitalization. 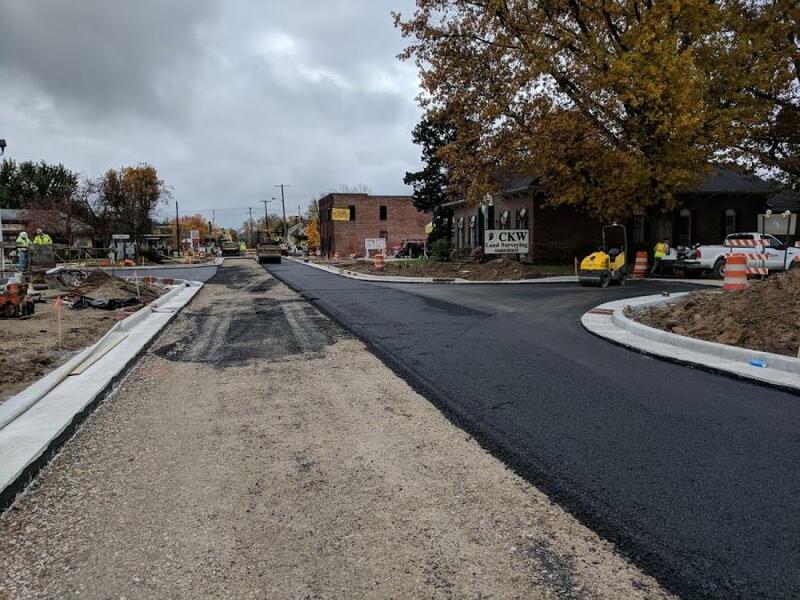 With population growth, new commercial businesses moving in and the vexing issue of traffic, it goes with saying that the old Jefferson Street needed a new lease on life. 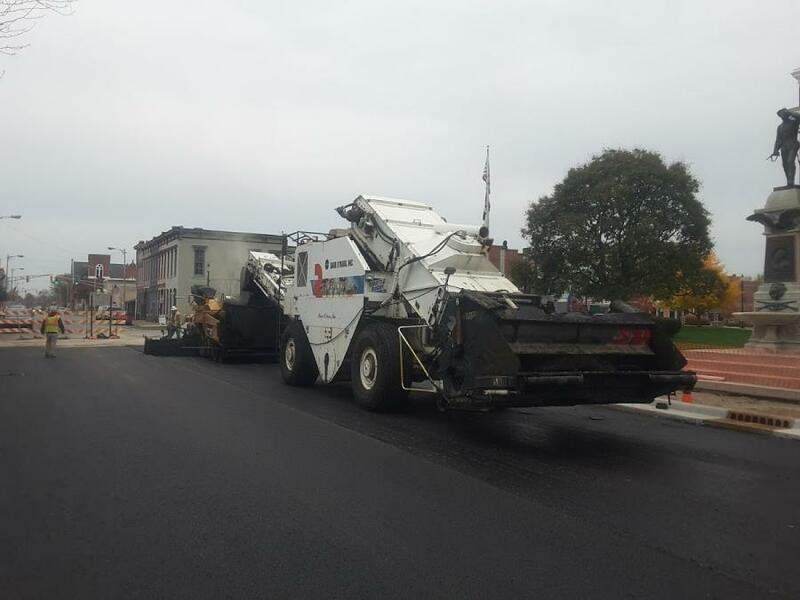 Following a 2013 legal agreement between the Indiana Department of Transportation (INDOT) and the city of Franklin, Ind., in which INDOT relinquished its Jefferson Street construction responsibilities, Franklin city leaders gained complete control of all phases of construction. With this control, these leaders quickly initiated work on the Jefferson Street revitalization project. At a cost of nearly $20 million, it is the city's most expensive infrastructure project to-date. INDOT spokesman Harry Maginity said his department didn't get directly involved in the construction project or in any issues that were part of the project. 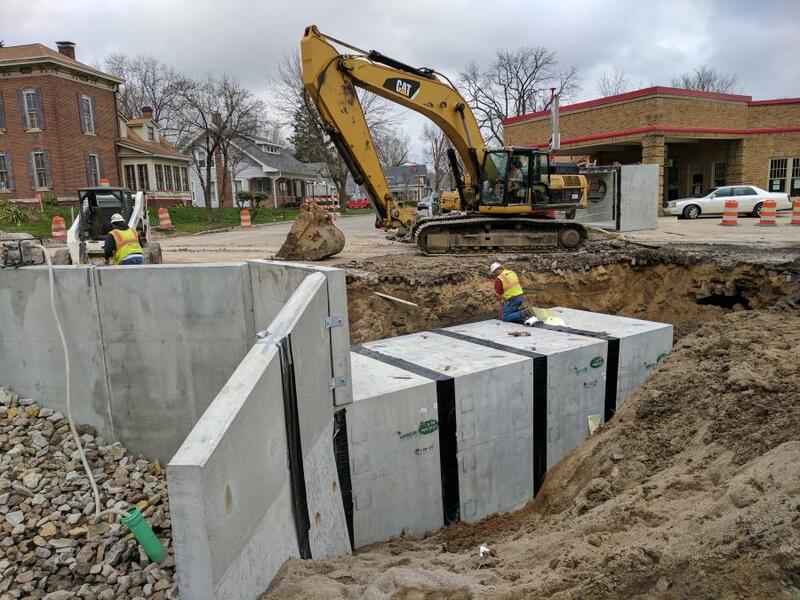 The relinquishment agreement released INDOT from all responsibilities relating to construction, thereby handing all responsibilities over to the city of Franklin and ultimately giving them the greenlight to begin work. “We don't have a lot to do with it,” Maginity said. “We handle all of the federal funds, and we have oversight abilities to see if it is being done right and compliant with federal standards.” He added that the federal funding for the project totals 80 percent and the remaining 20 percent is locally funded. The work will be completed in nine phases; currently, the project is in phases five and six. Phase seven will commence sometime this year, and phases eight and nine will start next year. 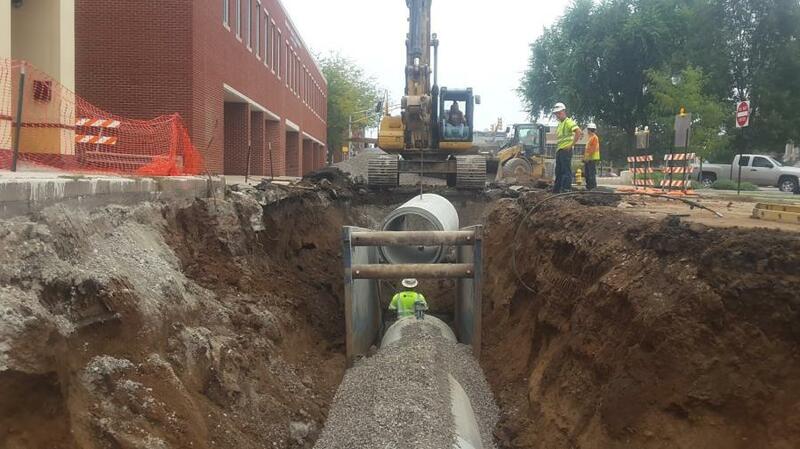 The Jefferson Street improvement project stretches for 1.5 mi. and includes relocating utilities and adding new storm sewers and roundabouts. The project also includes new signage, light poles, monuments, trees and landscaping. 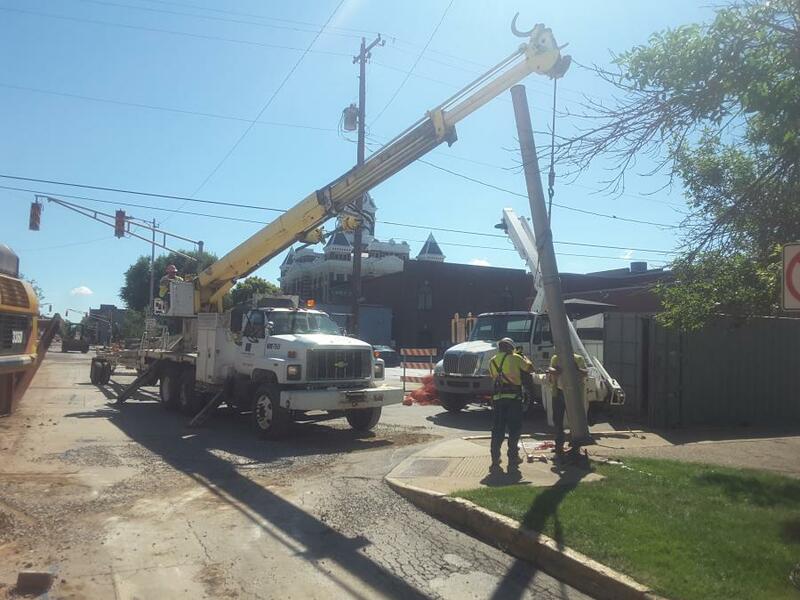 Finally, subcontractors do the street striping and street lights. While many would not consider Indiana a state with rugged winters, weather does play a major role in the daily work progress. Project Manager Jeff Fuller of Dave O'Mara Construction Inc. explained that Indiana winters can be brutal and sometimes unpredictable. Fuller also said that the relinquishment agreement offered flexibility to the construction crews that didn't mind fighting difficult weather conditions in order to complete the work. The agreement also allowed downtime for workers when the winter weather was so cold that it caused construction delays. Considering the scope of this project, the use of heavy machinery plays a big part in the construction. Fuller said that all of the machines being used are owned by Dave O'Mara Construction Inc. The machinery used in the initial phases of the construction are: a PC 228, a PC308, and a PC88 Komatsu excavator and a 330 Caterpillar excavator. 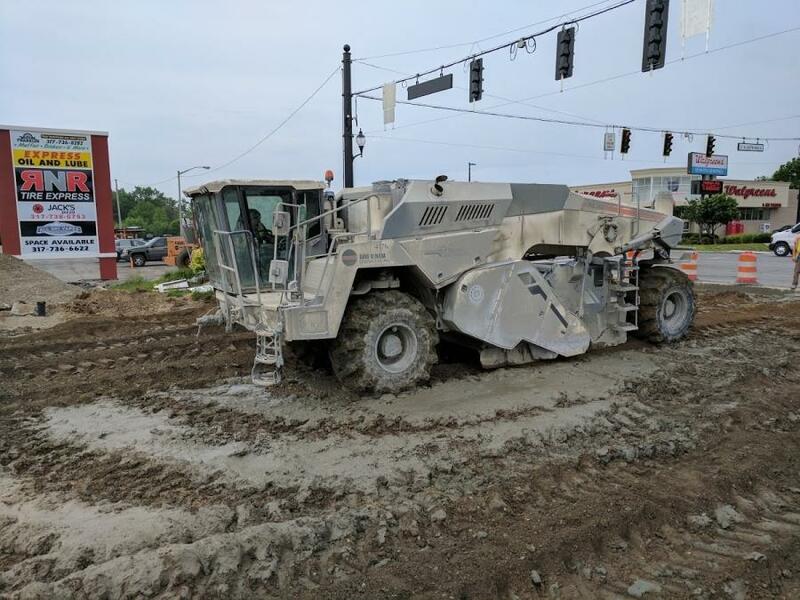 Other equipment included a John Deere backhoe, a Caterpillar 930 loader, a Gomaco AT 3600 slip-form paver, a Wirtgen 240I tiller and a Hamm compactor. According to Fuller, traffic disruptions were kept to a minimum with the use of detours at each individual construction phase. 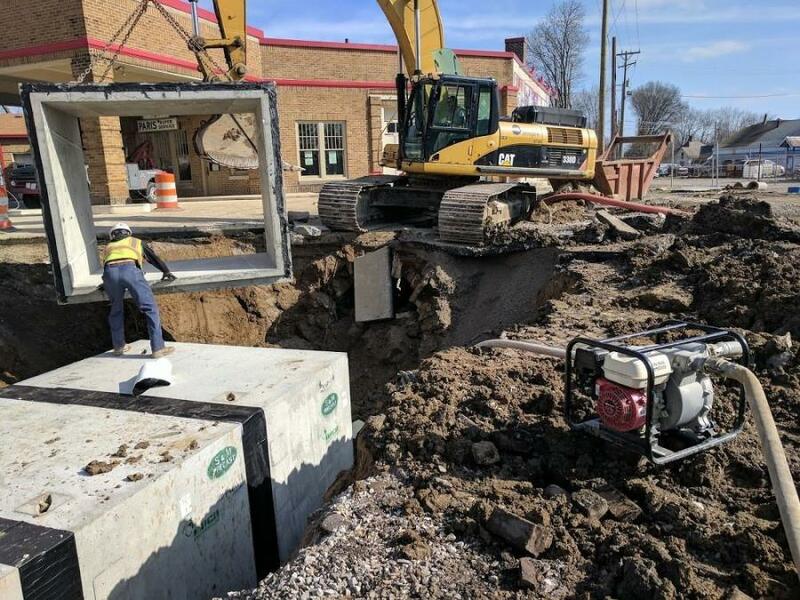 “One of the large goals of the project is to replace the old structure that has deteriorated and help increase traffic flow to the downtown area for merchants,” said Mark Richards, the director of planning and engineering of the city of Franklin.